January 24, 2010  This week, thousands of undocumented Haitians began applying to live and work legally in the United States. They're seeking temporary protected status, which the federal government granted in light of last week's earthquake. It's not the same as residency or citizenship, but it does spare foreign nationals from deportation due to unlivable or dangerous conditions in their home country. U.S. Citizenship and Immigration Services expects up to 200,000 Haitians to sign up in the next six months, many of whom live in and around Miami. January 4, 2010  Hundreds of troops are returning from the wars in Afghanistan and Iraq with extensive combat burns. Now, an Army hospital in Texas is experimenting with a virtual reality program that can distract burn victims and help alleviate some of their pain. December 30, 2009  During World War II several thousand conscientious objectors instead of fighting were assigned by the federal government to work in state mental hospitals. 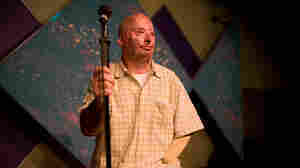 December 25, 2009  On Friday nights, Iraq War veteran Bobby Henline can be found at open mic night at the River Center Comedy Club in San Antonio. He knows that before anyone can laugh at him, he must first make them comfortable with just looking at his burned skin and amputated arm. December 23, 2009  A U.S. commander in northern Iraq has backed off of a threat to court-martial soldiers who get pregnant, or cause a pregnancy. But the issue raises larger issues about military life, and the rules of fraternization in the armed forces. December 9, 2009  Research scholar and Yale World Fellow Azeem Ibrahim argues that to win the war, the U.S. must engage with the Taliban. Neal Conan talks with Ibrahim about why working with the Taliban is not as counter-intuitive as it may seem. December 4, 2009  Freelance writer Jimi Izrael, syndicated columnist Ruben Navarrette, civil rights attorney Arsalan Iftikhar and NPR Senior Producer JJ Sutherland discuss President Obama's call for a surge of U.S. troops to Afghanistan. The guys also debate who is to blame in "Crasher Gate," which centers on a Virginia couple who crashed a White House state dinner, and whether Tiger Woods can rebound from his recent "transgressions." November 30, 2009  The president will use Tuesday night's nationally televised speech on Afghanistan policy to reiterate "that this is not an open-ended commitment," a White House spokesman said Monday. November 30, 2009  Nearly four years ago, Jose Pequeno's Humvee was hit by a grenade in Iraq; he was severely brain damaged. Jose can't talk, walk or eat. 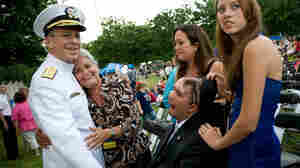 But his mother, Nellie Bagley, has stayed by his side and fought for resources from the Department of Veterans Affairs — paving the way for other families who may follow. November 28, 2009  This month, we've brought you stories about the impact of war on the families of soldiers deployed to Iraq and Afghanistan. Some of you have shared your stories with us. Host Scott Simon reads listener responses to this month's stories in the Impact of War project. November 28, 2009  Service members and their families can have a tough time getting help with mental health issues or arranging childcare. They've been able to turn to independent and nonprofit groups for assistance, but as deployments increase, some of those groups are becoming strained, too. Host Scott Simon speaks to Kristina Kaufmann, an advocate for military families, about how families are coping with the military service of their loved ones. November 24, 2009  Families gather at Camp Lejeune in North Carolina to welcome back the Marines of the 2nd Battalion, 8th Regiment — known as "America's Battalion" — after months deployed in Afghanistan. But not every family is going to see their Marine: Thirteen of the Marines died in Afghanistan. Army Family's Choice: Kids' Care Or Deployment? November 21, 2009  Repeated deployments of troops to Iraq and Afghanistan are taking an increasing toll on military families, especially those with young children. But for Ken and Kristie Halander, it came down to a difficult choice: another long deployment to Iraq for Ken or access to medical care for their children.